Pioneers in the industry, we offer acoustical consultant service and acoustic consultancy service from India. 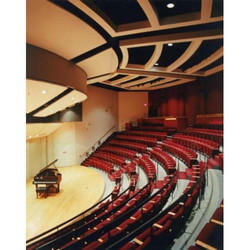 Leveraging on our extensive market knowledge, we are providing Acoustical Consultant Service. We have skilled innovative team of well experienced and creative professionals, who have worked for various projects of Cinemas and Multiplex, Theatres multipurpose halls, Hotels Commercial Building, Civic Centre Performing Arts Complex, Studios Recording facilities, Classrooms, Conference rooms Seminar Halls, Corporate Offices, Laboratories, Residential projects, Stadiums, Worship Centers, Metro Rail, Noise Control projects, Power Plant, Shop Floor, Test Cells, etc. 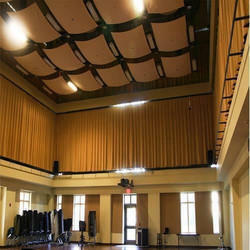 From the very first day of our inception, we have been successfully providing Acoustic Consultancy Service. All our systems are designed in compliance with international quality standards and norms, using quality-approved material following industry set guidelines. In addition to this, our agents enable us to deliver these systems at clients’ end within the committed time frame. Looking for Consultant Service ?